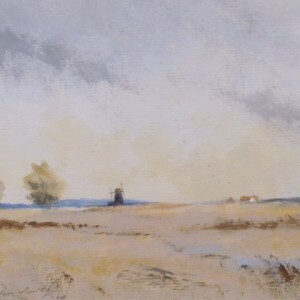 Gordon Smith paints in mixed media but specialises in watercolour. 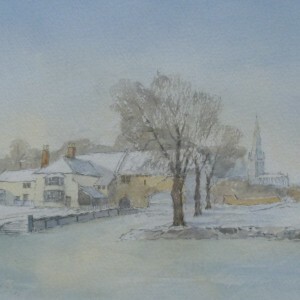 His early interest was the landscape of Norfolk where he has lived for most of his life. His works have sold widely in local galleries. He has also enjoyed considerable success with mountain scenes, particularly of Scotland and Wales. 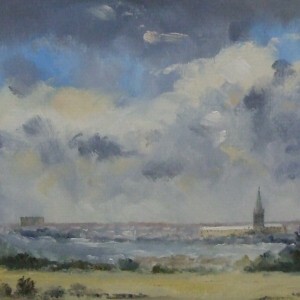 As a young man he studied under Leslie Moore at the Norwich School of Art. Following many years as a director of an engineering firm he retired early to devote more time to painting. This has enabled him to spend several months a year in the Western Highlands of Scotland, an area to which he has long been drawn. 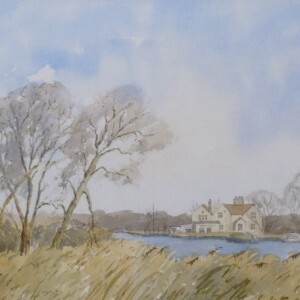 Tudor Galleries has exhibited Gordon Smith’s work since 1987 and his local ‘Broadland’ landscapes have become greatly sought after as well as Norwich landmarks particularly of the ‘Cathedral’· and ‘Pull’s Ferry’. 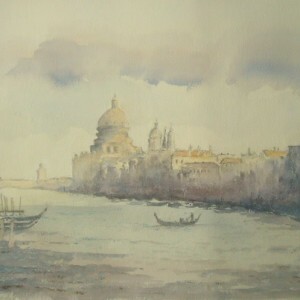 He also enjoys painting the North Norfolk and Suffolk coastlines and his views of Venice have also proved highly successful.